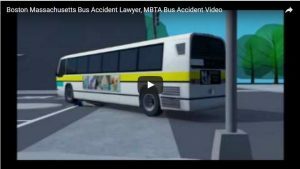 Winter Safety Category Archives — Massachusetts Injury Lawyer Blog Published by Boston, Massachusetts Injury Attorneys — Breakstone, White & Gluck, P.C. Property owners, grab your shovels, some salt and a little patience. The snow is back in Boston and this is just the beginning. We shouldn’t say the beginning. Snow and ice is the oldest story in New England. But for many years, Massachusetts law distinguished between “natural” and “unnatural” snow accumulation and held that property owners were not liable for injuries caused by a natural accumulation of snow and ice. But the Supreme Judicial Court abolished this distinction in Papadopoulos v. Target, 457 Mass. 368 (July 26, 2010). In Papadopoulos, the plaintiff slipped on ice in the parking lot outside a Target department store in Danvers. 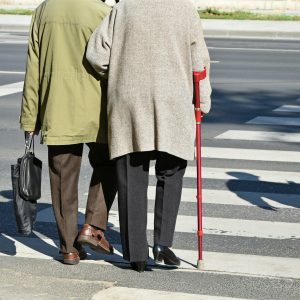 After leaving the store, the plaintiff fell on a patch of ice on the pavement. The patch formed after a snowplow had worked in the area, followed by a snowstorm. He filed suit against Target Corporation and Weiss Landscaping Company, Inc., which was responsible for the snow and ice removal. The trial court ruled the patch was a “natural accumulation” of snow. The Appeals Court affirmed this decision, but the Supreme Judicial Court rejected the distinction between natural and unnatural snow accumulation. With this decision, property owners had to accept the same duty of care in snow and ice cases as in other cases. They must keep their property reasonably safe. This was a good decision for consumers, because now, those who fall on someone’s property can now seek compensation for their injuries and recovery if the property was not properly maintained. 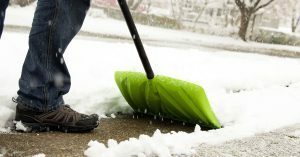 Homeowners, landlords, businesses and commercial property owners now have a duty of reasonable care to clear the snow and ice. Since Papadopoulos, the courts have recognized this responsibility with an occasional exception for commercial property owners. In some cases, the courts have found store owners or tenants which operate in a leased space are responsible for the maintenance, and not the property owner. This distinction turns on the fact the tenant has control of the property. Lease provisions also usually require the tenant to indemnify the landowner. If you slip and are injured on snow and ice, you have rights, but you need to act promptly. First, you should always receive medical treatment for your injuries. Then, notify the owner or person in control of the property that you were injured on their property. This must be done within thirty days! (M.G.L. c. 84, § 21). 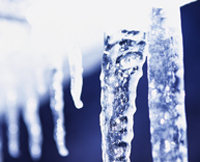 Before you notify a property owner, consult a Boston snow and ice accident lawyer. At Breakstone, White & Gluck, our attorneys have extensive experience in this area. We are here to answer your questions and advise you of your legal rights. You may be entitled to payment of medical bills, lost wages and other damages. When our client fell on an icy ramp in Walpole, she turned to Attorney Marc L. Breakstone for help. He investigated and negotiated an $825,000 settlement. 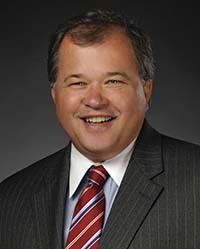 Attorney Breakstone’s investigation found the handicap ramp, which was on a commercial property, had not been maintained. The area where our client fell was covered in ice and there was no hand railing. This was a violation of state and local codes. Read more about this case.